Over the years Soundcraft Vi Series, has gained popularity globally for its user-friendliness. HARMAN Professional Solutions, India recently announced that Soundcraft Vi series digital mixing consoles had successfully established 150+ impressions in India and the footprints continue to grow organically. As the digital mixing console continues to find constant success and wide acceptance in India, PT takes a look back. Where you look is where you control”– One of the unique features of the Vi series mixing consoles is Studer’s 3D Vistonics touch screen functionality which makes them one of the easiest-to-use digital console to handle complex mixing workflows in the market. Vi consoles are extremely well built, with a sturdy aluminum chassis and a unique fader glow technology. This all adds up to why these desks are favored by hire/rental companies, mixing engineers, festival stages, in-house desks, touring acts, etc. There isn’t a person in the industry who doesn’t love the Vistonics UI as it marries controls and touchscreens seamlessly. Soundcraft Vi series encompasses large format digital mixing consoles on which one can mix from 64 inputs upto 128 inputs and upto 32 Mono/Stereo Busses. They are meant predominantly for Touring and mid - large format installs such as Performing Arts, House of worship, Stadium, Broadcast, etc. “The Soundcraft Vi Series digital consoles have been the mainstay for leading touring and rental companies across the world for its legendary sonic signature, extended feature set including Vistonics and ViSi remote capabilities all combined with the same easy and intuitive workflow across models. With the second generation of Vi consoles such as Vi1000, Vi2000, Vi3000, Vi5000 and Vi7000, we have seen more users choose Vi as their main FOH and monitor console for venues and performances across genres and themes,” said Prashant Govindan, Sr. Director, India and SAARC, HARMAN Professional Solutions. “The things I love about the Soundcraft VI consoles is the ‘Walk up and mix approach’. The interface is straight up and simple to understand. All relevant information about the channel is always upfront. The Gate and Compressor are really smooth,” said Johnston D’souza, FOH Engineer for bands Kabir Café and Alien Chutney. Following in the footsteps of the Vi6 (used for touring and large-scale installations in major venues) launched in 2006, and the medium-sized Vi4 in 2007 respectively, in 2010 Soundcraft launched the Vi1 digital mixing console. This moved the Vi range into a far more affordable price bracket intended for use in small installations, but still with Vistonics, Lexicon FX, BSS EQs, and the sound quality. Marketed as a complete standalone console package, the Vi1 was designed as a ‘drop in solution’, which meant that sound engineers more used to analogue consoles could upgrade to the digital desk with no additional hardware required outside of the chassis. “We have had an extraordinary experience with our Vi Desks. 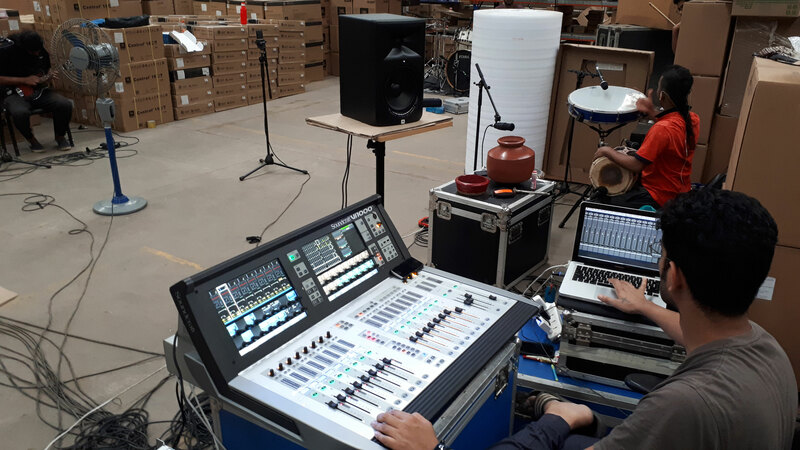 We really appreciate the workflow and ease of use”, said Navneet Wadhwa, Director – Audio Design and a proud owner of Soundcraft Vi1. Eight years after Soundcraft first launched the Vi series Vi6 and Vi4, the company launched its new Dante-enabled Vi3000 console in Mar 2014. When designing the Vi3000, Soundcraft focused heavily on creating a new look with dramatic cosmetics and industrial design changes, as well as a modernised version of the popular Vistonics user interface technology previously seen on Soundcraft’s Vi4 and 6 consoles. 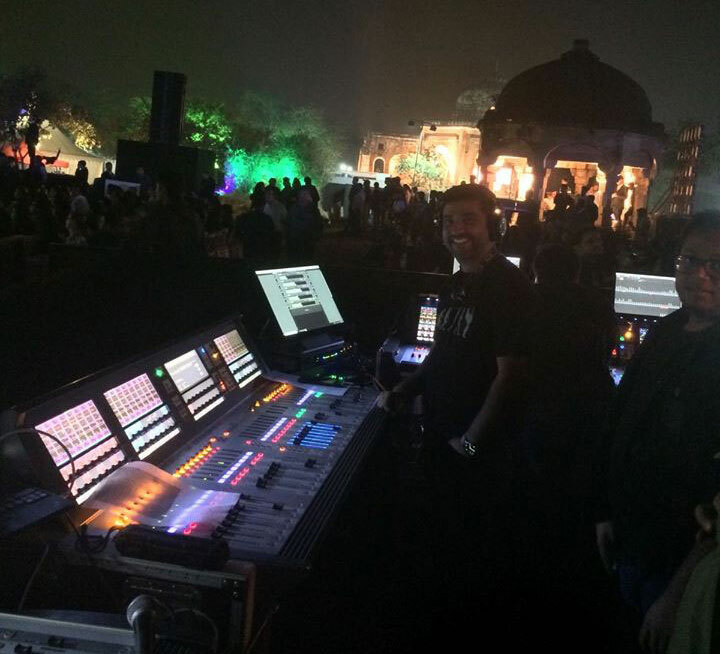 The Soundcraft Vi3000 has received tremendous response in India over the years. “The Soundcraft Vi3000 is efficiently designed with full complement of analog and digital inputs and outputs. The console provides Dante/MADI record feed outputs, UAD & Waves Plugins Capability, Redundant power supplies and other Nice Features. Great Board and Priced Excellent for the features provided, Excellent for Monitor Mix & for big corporate gigs,” says Santana Davis, Managing Director & Chief Sound Engineer – J Davis Prosound & Lighting. “I started my digital career in FOH on the Soundcraft VI 3000. Until then I used to use analog consoles extensively. My friend and senior Nitin Joshi once suggested that if I don’t shift to digital consoles, I will soon be thrown out of the industry. I was skeptical about the sound of the digital consoles as we were using analog consoles in the studio also. Then there was a situation where I had to mix a massive gig where I had no choice but to use a digital console. Manish Mawani suggested that I use a Soundcraft VI 3000. I really was happy to mix the show on it. All my doubts were cleared on seeing the headroom. Now I use almost all the digital consoles. They are good. But my first love still is the VI series. What I like about Soundcraft consoles is the ease of a digital console and the sound of an analog one. One more thing I always appreciate is Vistonics technology which gives you the feel of analog world (Where you see there you do). 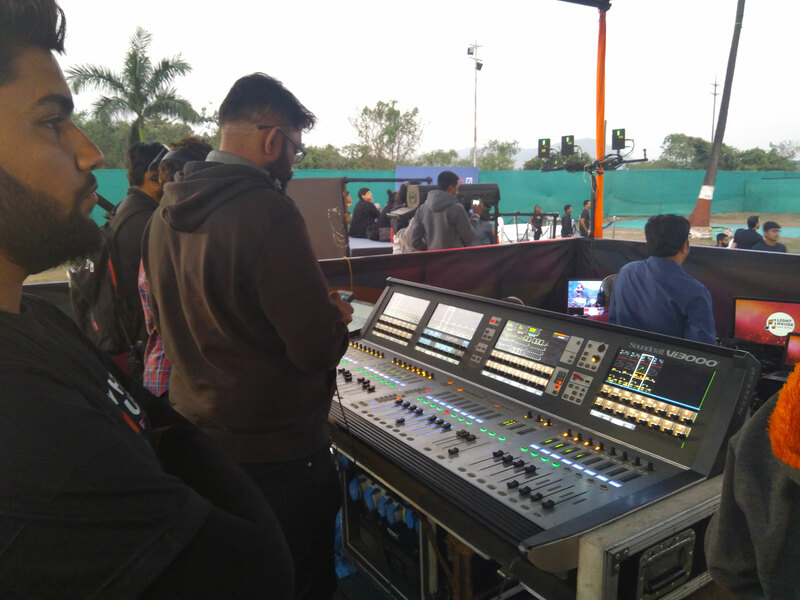 Now with the Soundcraft VI 7000, we have unlimited possibilities and freedom to expand,” says Vijay Dayal, Sound Engineer - Yashraj Studios & FOH Engineer for Ajay-Atul. “It provides superior sound quality through its advanced engineered pre-amps. Professional sound engineers are enthusiastic about the Soundcraft Vi3000 features. The Vi3000 is one of the best Monitor mixers in the market, it captures the moment perfectly; it is a value for money product,” enthuses Purvaze Buxy, Director – Vibrations Unlimited & FOH Engineer for artiste Armaan Malik. “We recently got the Soundcraft VI 3000 console to explain to our students the practical workflows in the live sound industry. The VI3000 was one of the boards that was loved the most by our students because of its simple layout and yet such advanced features like Vistonics Touchscreens, integration of Soundcraft Realtime Rack, onboard processing, etc. The students felt at ease to operate the VI3000 and the anxiety to use a new board vanished quickly,” explains Dilip Achtani, Associate Director, Seamless Education Academy Pvt. Ltd., Goa. In 2015 Soundcraft replaced the popular Vi4 and Vi6 consoles with the Vi5000 and Vi7000 offering significant technology, feature set improvements whilst retaining, and building on the user interface and sound quality characteristics that had made the Vi4 and Vi6 consoles a favourite on riders for eight years. With the introduction of the Vi5000 and Vi7000, Soundcraft proved that they had taken a cue from their customers by offering a significant step up with the user interface features customers need and the world-class audio quality and processing tools they expect. “The SNL Pro and Soundcraft Vi console partnership goes back over a decade. It feels good to own one of the largest Vi inventories in the country, backed by great product reliability & amazing after sales service from HARMAN Professional India,” says Manish Mavani, Director – Sound & Light Professional and a proud owner of Soundcraft Vi7000, as well as the Vi6. “I started touring with various brands almost 17 years ago. I used multiple analogue consoles. With the introduction of digital consoles came a solution which would be compact with multiple channels onboard. Shifting to a digital console from the analogue world became a compulsion at a point in time and the Soundcraft Vi series gave me the most amount of comfort. After using various digital consoles, I can say that what I love the most about the Vi series consoles is the ease of use. The layout is simple and everything is right in front of my eyes. Sound check is a breeze. My current set with Arijit, where I am the Music Producer and FOH engineer, has over 200 inputs and we cascade a Vi7000 and Vi3000. Same goes at the monitor world. It’s super smooth to handle the gig. Plus, with functions like HIQNET controlling the console becomes easy when you are taking a round of the venue. With onboard optical MADI, recording and plugin processing is phenomenal. I record a total of 128 tracks (64 on each console) and use another local rack input for plugin processing over MADI. I also use a lot of analogue hardware and an alternate input switch on the console helps to change to the direct stage input just in case any of my hardware gives up and is a great backup option. All in all, Vi series consoles have been my favorite and I love working on them,” says Sunny M.R., Music Producer and FOH Engineer for Arijit Singh. End of 2017 HARMAN introduced the most compact member of the Vi-000 family - the Vi1000 Digital Mixing Console. Representing the culmination of the rich feature sets offered by Soundcraft’s acclaimed Vi Series, the new VI1000 at just 86cm x 81cm (34” x 32”) in size retains all the mixing and processing power of its two larger siblings, the Vi2000 and 3000, launched in 2016 and 2014 respectively. “The fact that we have surpassed the 150+ milestone is not surprising given the level of training, support and service that HARMAN Professional India have extended to customers. I am personally thrilled to be part of the team that surpassed this milestone especially in an emerging market like India. I wish to thank all our customers including rental companies, end-users and all our well-wishers who have made this possible,” concludes Prashant Govindhan.